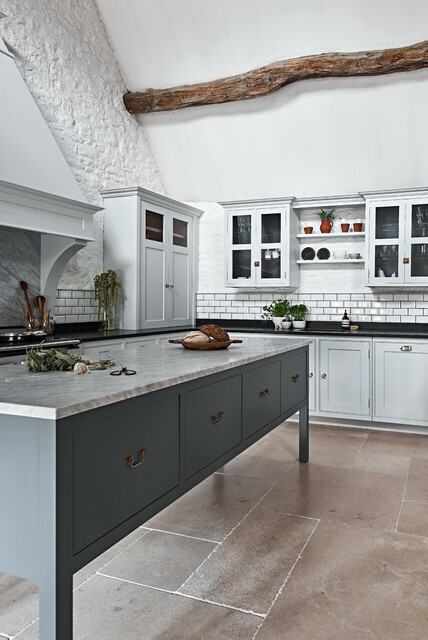 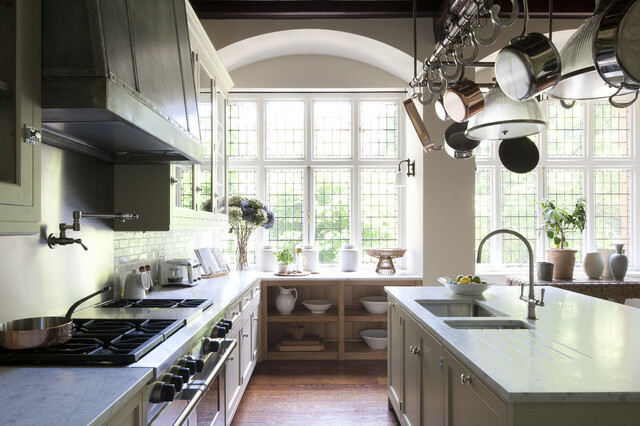 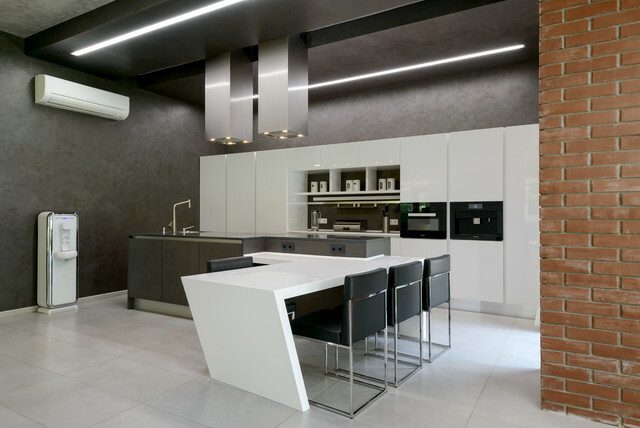 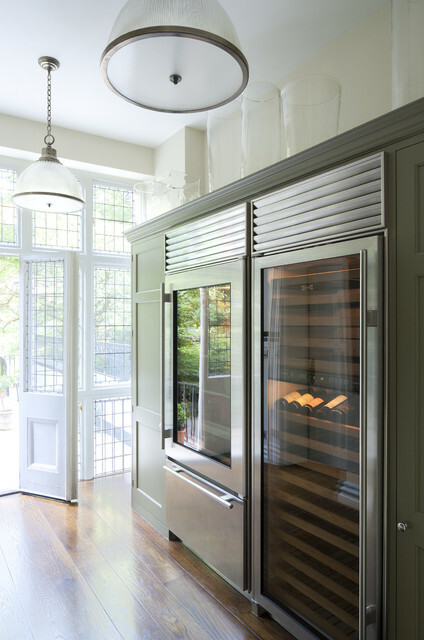 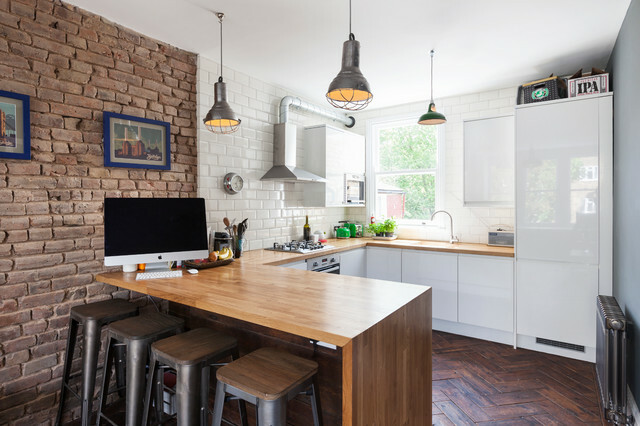 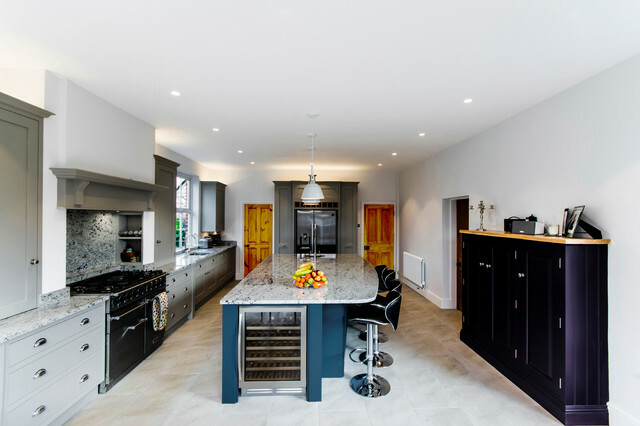 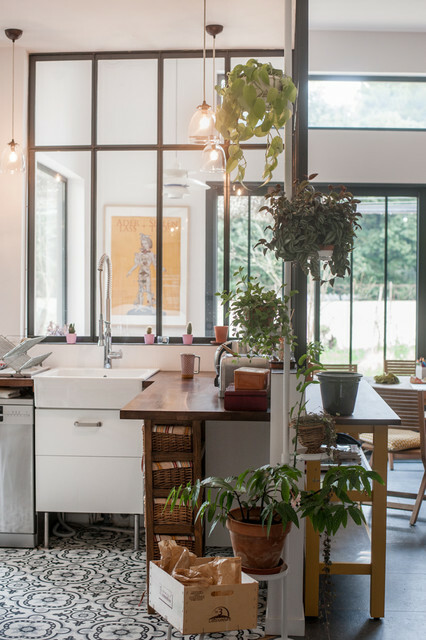 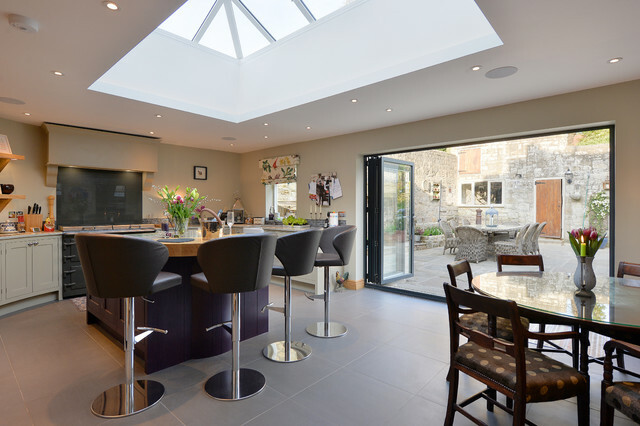 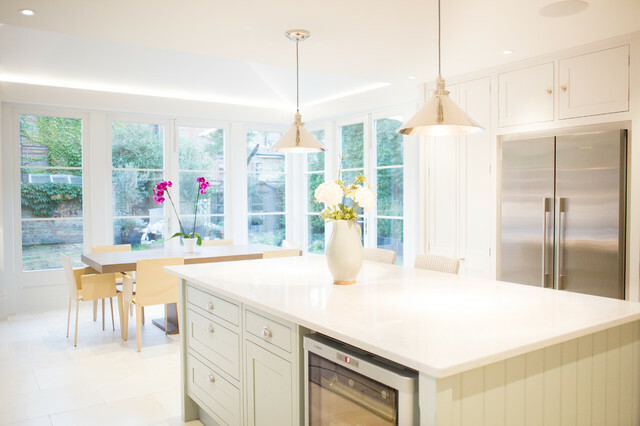 Artichoke worked with the renowned interior designer Michael Smith to develop the style of this bespoke kitchen. 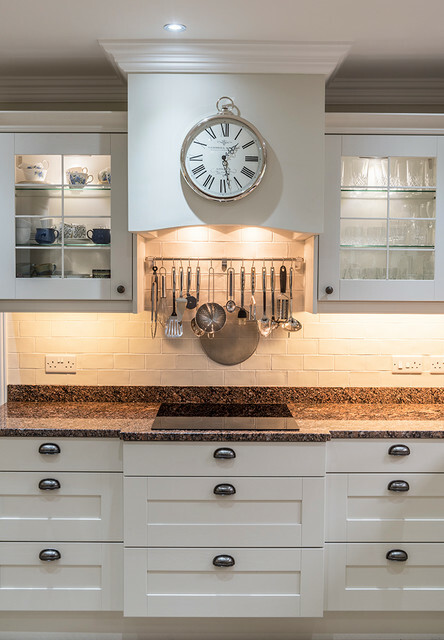 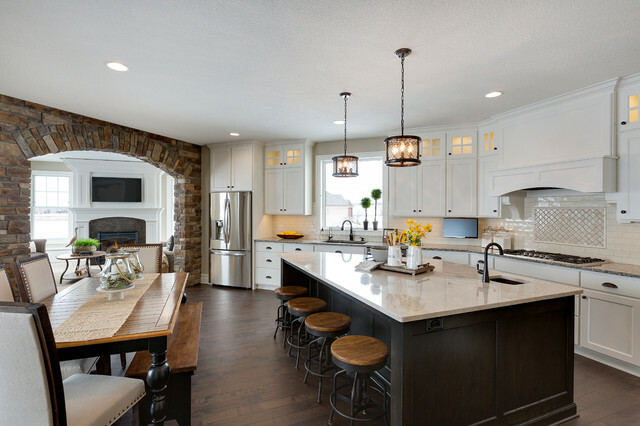 The detailing of the furniture either side of the Wolf range is influenced by the American East Coast New England style, with chromed door catches and simple glazed wall cabinets. 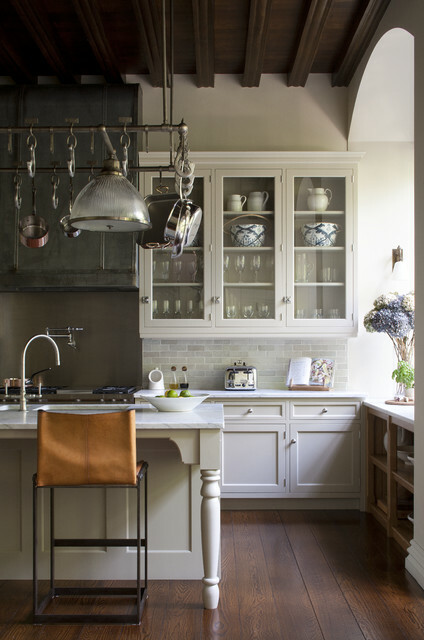 The extraction canopy is clad in zinc and antiqued with acid and wax. 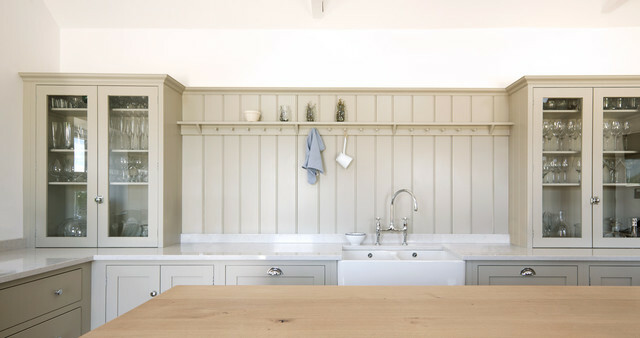 The green painted larder cabinet contains food storage and refrigeration; the mouldings on this cabinet were inspired from a piece of Dutch antique furniture. 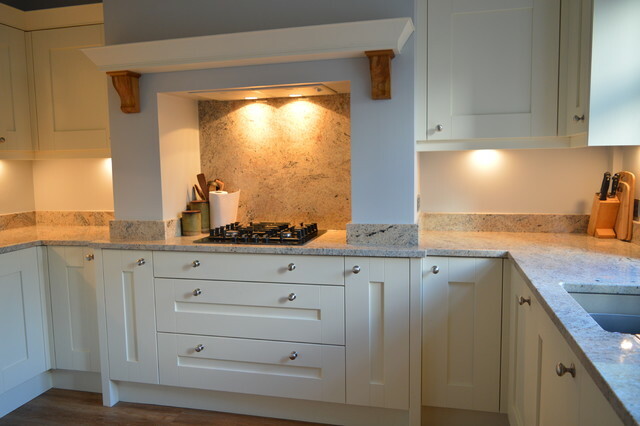 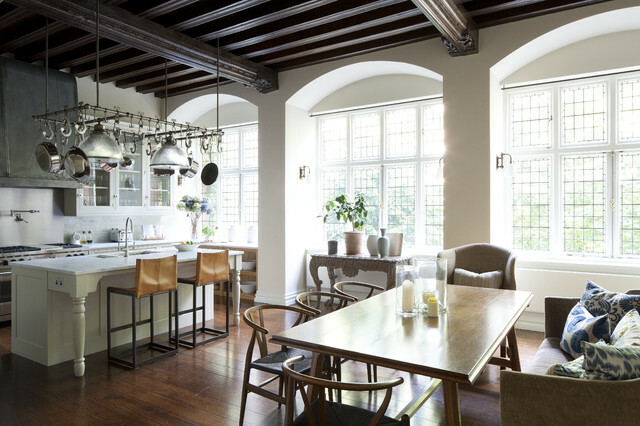 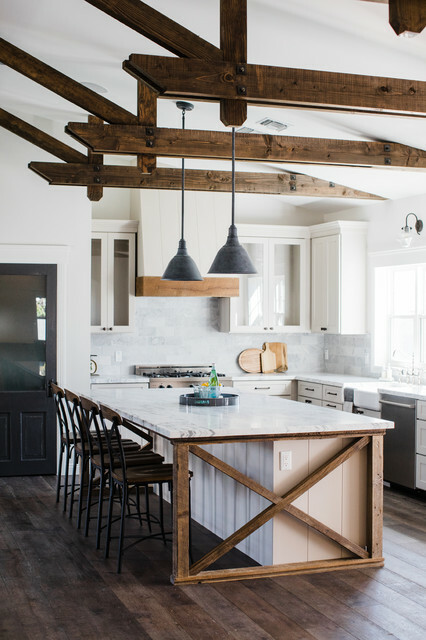 The pot hanging rack enabled us to provide lighting over the island and saved littering the timbered ceiling with unsightly lighting. 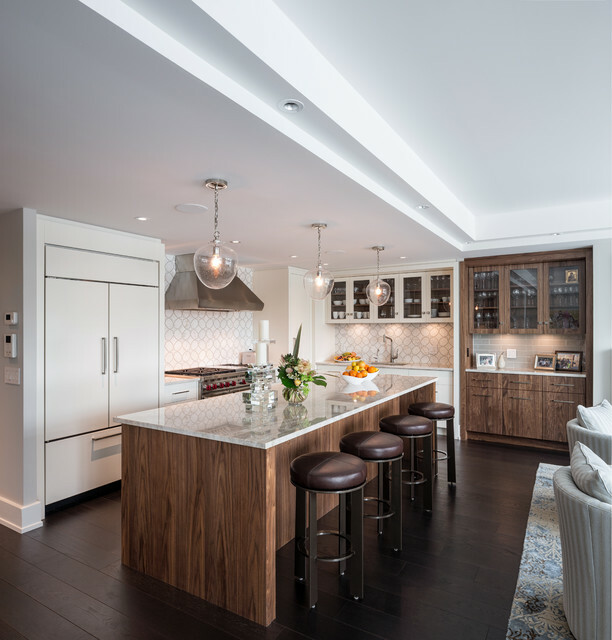 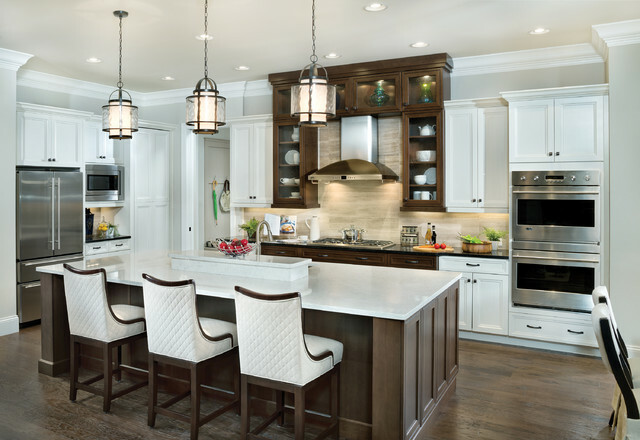 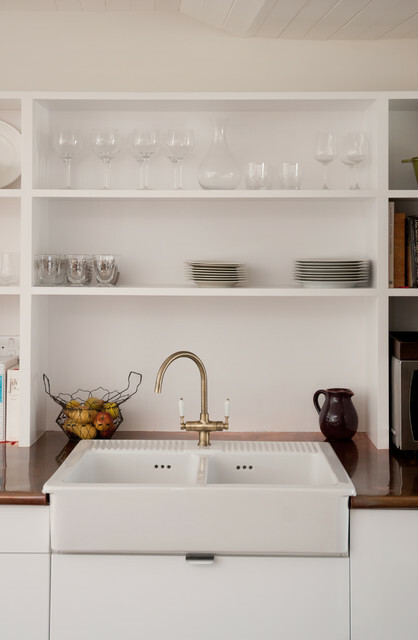 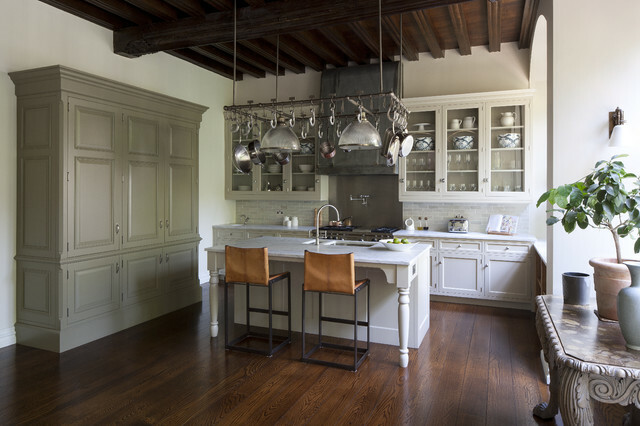 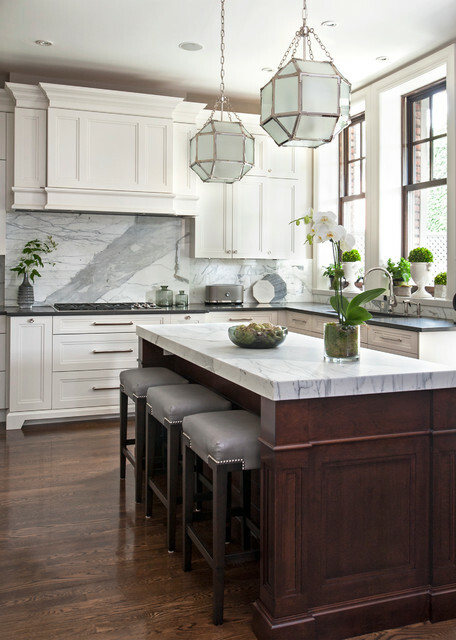 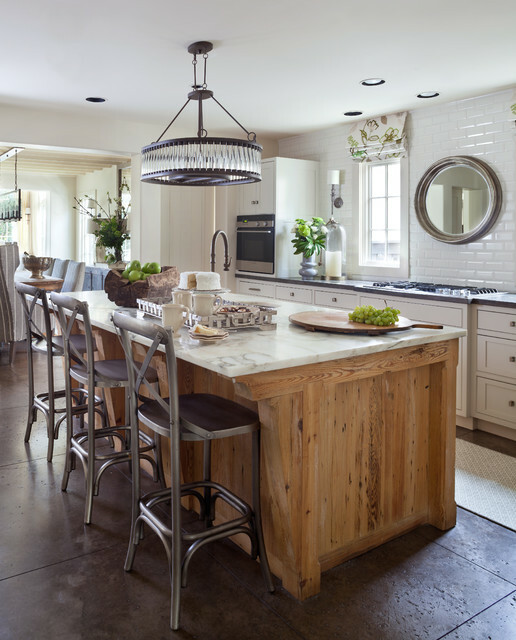 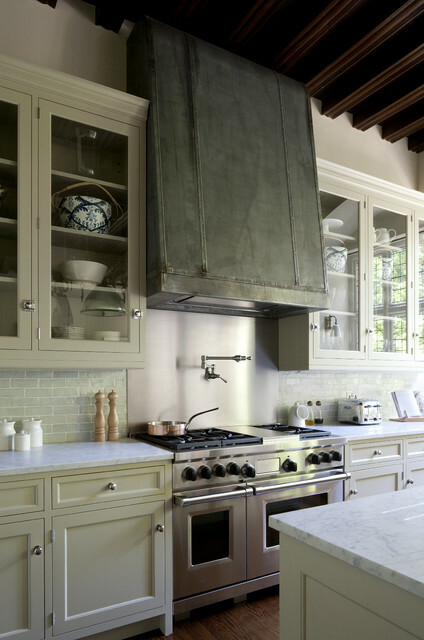 Primary materials: Hand painted cabinetry, steel and antiqued zinc.